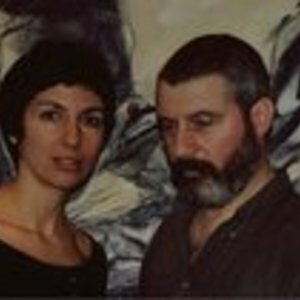 Asya Dodina and Slava Polishchuk work in collaboration since 2003. Asya Dodina was born in Moscow, Russia. She is an artist who works in several media: oil painting, drawing and printmaking. Recent solo exhibitions include a show at Fox / Fowle Architects Gallery, and 55 Mercer Gallery, New York, NY. Dodina has exhibited in numerous museums and galleries including the CASE Museum of Contemporary Russian Art in Jersey City, NJ; Pace University Gallery, New York, NY; Brooklyn College Gallery, NY; Hunter College Gallery, New York, NY; The Alumni Gallery, St. Joseph College, NY; KÃ¼nstlerforum, Bonn, Germany; The Russian Academy of Art, Moscow, Russia; the Glasgow School of Art in Scotland. Her works are in public and private collections including Con Edison, New York, NY; MetLife, New York, NY; Pace University, New York, NY; C.A.S.E. Museum of Contemporary Russian Art, Jersey City, New Jersey; Russian Academy of Art, Moscow, Russia; Russian Ministry of Culture, Moscow, Russia. Her awards and honors include Medal of the Russian Academy of the Arts,residency at the Russian Academy of Arts, and Project Grants from New York State Council of the Arts in 1996, 1998, 2002 and 2003. Articles and reviews include in New York Times; ARTnews; Alef, New York-Moscow-Jerusalem; Iskusstvo magazine, Russia; Contemporary Russian Amazons, catalog, New York. Slava Polishchuk was born in Russia. Lives and works in New York. Recent solo exhibitions include International Center of Arts, Remagen, Germany; Fox & Fowle Gallery, NY; 55 Mercer Gallery, NY; Pace University, NY; Brooklyn College, NY; Moscow International Art Salon, Central House of Artists, Moscow; Museum of Contemporary Russian Art, NJ. Polishchuk has exhibited in numerous museums and galleries including the Pushkin State Museum of Fine Arts, Moscow; Lithuanian State Museum of Art, Vilnius, Lithuania; Primorye State Picture Gallery, Vladivostok; The Russian Academy of Art, Moscow, Russia; Chelsea Art Museum, New York; B'nai B'rith Klutznic National Jewish Museum, Washington, DC; Kentler International Drawing Space, NY; Paul Robeson Galleries, Rutgers University, NJ; Pace University Gallery, New York, NY; Brooklyn College Gallery, NY; Safe-T-Gallery, NY; The Alumni Gallery, St. Joseph College, NY; KÃ¼nstlerforum, Bonn, Germany. His works are in public and private collections including State Tretyakov Gallery, Moscow; Lithuanian State Museum of Jewish Art, Vilnius, Lithuania; Rutgers University, Jane Voorhnees Zimmerly Art Museum, New Brunswick, NJ; Norton and Nancy Dodge Collection, NJ; The Paul Robeson Galleries, Rutgers University, Newark, NJ; Kolodzei Foundation of Russian and Eastern European Art, NJ; Brooklyn College Library, City University of New York, NY; Pace University of New York, NY; Fox & Fowle Architects, NY; Safe-T-Gallery, NY; Moscow Union of the Artists, Moscow. His awards and honors include Project Grants for Exhibitions, NY State Council of the Arts, NY (2008, 2007, 2006, 2003, 2002, 1999, 1996); Award of Excellence, Firehouse Art Gallery, Nassau Community College, NY (2005); The Charles G. Shaw Memorial Award for Excellence in Painting, Brooklyn College, City University of New York, NY (2002, 2001, 2000, 1999, 1998); The Joan Mitchell Foundation Nominee (2002); Jewish Artists Awards Finalist, The Ben Uri Gallery, London (2001); Golden Key National Honor Society, Atlanta, Georgia (2000). His works have been sold in different international auctions such as Trinity International Auctions, 2011, CT,USA; MacDougall's Russian Art Auctions, November 2007, London; MacDougall's Russian Art Auctions, June 2007, London.